From reading about countless miracle products on treating spots to buying almost half of the pharmacy, I have been left disappointed many times. This is because there's no overnight cure unless you’re going to pop your pimple (please don’t), but that will leave a scar. Treating and healing blemishes takes time, patience and care. We all have different skin, despite having a similar skin type. The most random ingredients can set me off. For example, I learnt my skin hates squalane, which happens to be in almost every moisturizer because it’s great for your skin. Figuring out what works for your skin takes a lot of trial and error. Since we’re in this together, I thought I’d share some of my favourite products to treat my blemishes. An excellent and consistent routine is the first step to keeping those blemishes down. I am, however, guilty of switching up products, which shows up on my skin right away. They’re the easiest to remedy as well because the minute you stop using the wrong product, the pimples go away. However, there are times when my unwelcome friends come back to haunt me for no apparent reason. My most important tip is to keep your face hydrated at all times as most of the spot treatments can dry out your face. I always start out with a good essence or a lightweight serum before I attack. What may work for me, may not necessarily work for you. For example, azelaic acid is an excellent ingredient for acne prone skin, and it works wonders on my sister’s skin, but on me, it does nothing. After washing my face, I like to use an exfoliating toner to prep my skin. There's a reason this product is cult, it works wonders! P50 comes in different strengths, but as a beginner, I like to use P50W, which is super gentle. This product contains gentle AHA’s that helps balance your skin while treating your blemishes. However, be careful not to over exfoliate because that can disrupt your skin barrier and possibly cause more breakouts. I even use over the counter retinoids on top of this although BR advises you not to, but my skin can handle it, and this combo really helps keep my congestion under control. My favourite ingredient happens to be Sulphur, as it banishes spots quite quickly. My previous dermatologist used to prescribe me a cream with the main ingredient being sulphur, which would calm my blemishes within two days. Since then I did my own research and bought PTR Sulphur Mask, which has about 10% of Sulphur and other great ingredients such as kaolin clay. I may have also convinced several people to invest in this tub of goodness that lasts a lifetime. I use it as an overnight spot treatment and as a weekly mask to balance my skin and prevent those little suckers from coming out in the first place. For the most part, it is excellent. Although, I have to give my skin a break because it does get used to it. It is best for calming and treating stress and hormonal acne. Another well-loved mask that can also be used as a spot treatment is the super mud mask. Out of all the GlamGlow masks, this one is my favourite and the most effective on my skin. The mask has a minty, eucalyptus smell and the dark colour dries down to a light grey on your face. 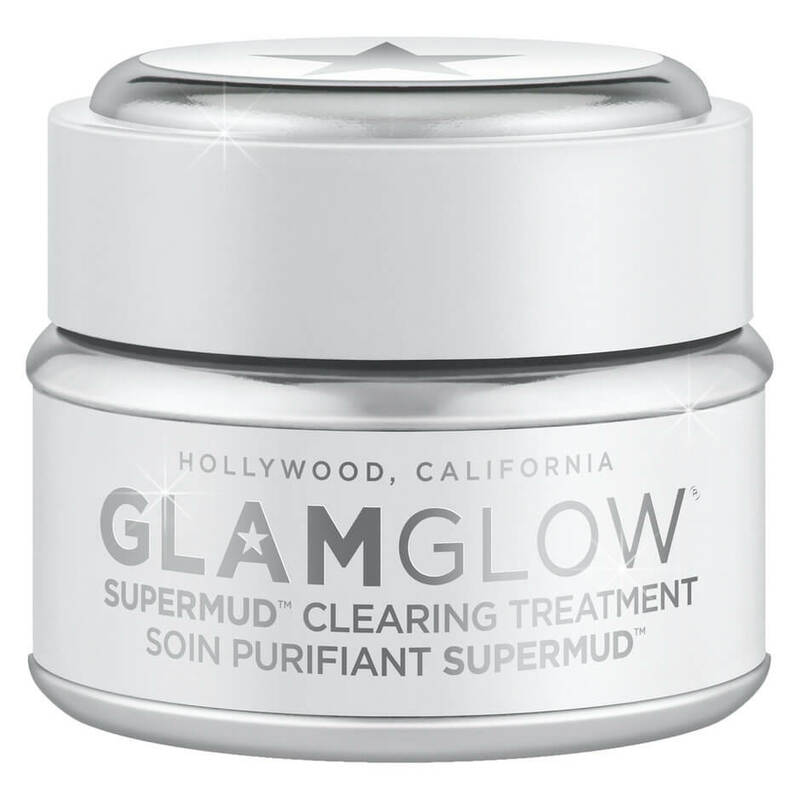 The super mud mask can also be used as a spot treatment to calm down all sorts of acne, except under the skin bumps. It is costly for the amount you get, and it dries out quickly, which is such a shame. I also love to use this mask before a night out as my face is glowing, smooth and clear. It is pretty drying, so I recommend following up with a hydrating mask or a serum. If I may, the Leahlani Mermaid Mask is an excellent follow-up mask to maximize the glow. This is a Hirons approved product, so you know it will be a good one. This was one of the first purchases I made when I entered the skincare world. It’s been a downward spiral since then. But time after time, I keep coming back to this well-loved product, which I only buy on sale from Look Fantastic. This little pot of goodness does so much! It calms, soothes, and heals all in one. I recently had the worst breakouts, and none of my products was calming the inflammation, except this! The next day, breakouts were significantly calm and less angry at me. By day 3, they had gone down so much that my skin was almost back to normal, looking healthier day by day. I used it repeatedly for 7 days before I moved on to my regular skincare routine. Oh and let me tell you about the soft glow you wake up with in the morning. Nothing compares to it. It has non-clogging oils and has an earthy smell that calms your senses as well. If you can afford it, go for it! Another IG favourite, but I have a love/hate relationship with this product. I hate the sticky texture, and that it takes forever to absorb. However, if you’re at home and have the whole day to deal with your breakouts, then use this twice a day and watch it disappear within two days. Another gripe I have is that when you press it, it dispenses too much product. The best way to use this product is to use it as the last step. However, if you're treating breakouts, I like this to be the first thing my skin touches. It contains around 9% Salicylic acid, which is a beta hydroxy acid (BHA). This means that it can penetrate further into the pores, more than AHAs, which is why it’s a well-loved acne fighting ingredients amongst acne prone skin types. If you haven’t used this yet, what are you waiting for? These are the best patches to protect your skin from the elements, including your fingers. I see you touching your pimple. Don’t worry; I’ve been there. These patches are a form of hydrocolloid dressing, so the sticky side that touches your spot absorbs the fluid that comes out of your cyst. It comes in a pack with 3 sizes; however, I find the smaller sizes often go to waste. They do not contain any acne-fighting ingredient. I like to wear this to bed after I have applied my skincare or during the day when I’m out and about. Be warned though, they are not entirely invisible. I have been asked many times what's on my face. What’s your favourite spot treatment?